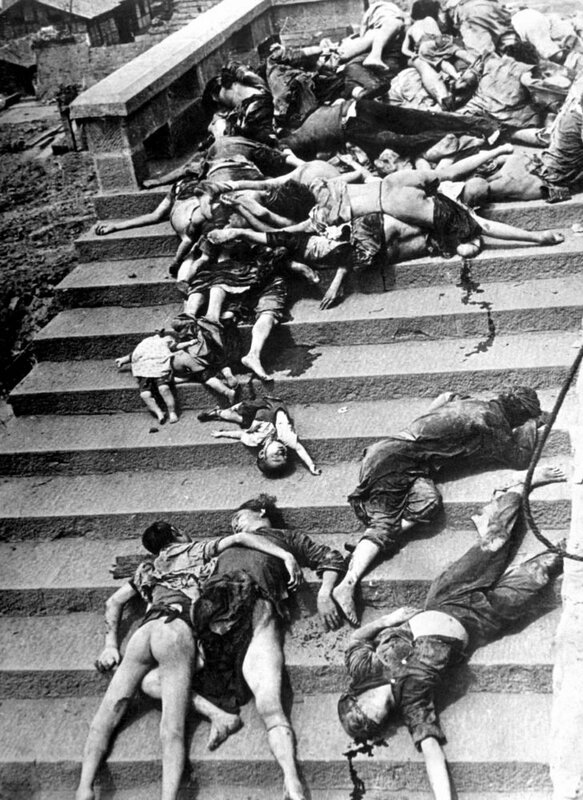 Victims of mass panic among civilians during a Japanese air raid in the Chinese city of Chongqing. June 5, 1941, Japanese aircraft bombed the city for 3 hours. Even many of the Chinese hidden in the underground tunnels were not saved – about four thousand people were suffocated.